I hardly ever enjoy knitting more than sitting by the water. I usually don’t get much done, but thoroughly enjoy my few minutes of total peace. Working the very last few rows of the dolman sleeved tee :). 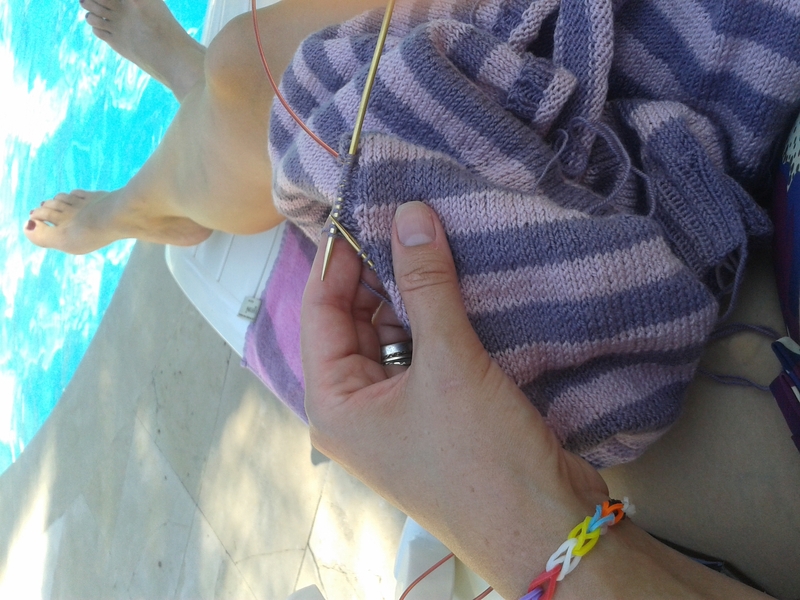 Separator image Posted in My kniting & crochet and tagged with addicted to knitting, Dolman, KIP, knitting by the pool.